Getting insurance as a landlord is not necessarily the same as getting it for your own home, as you need to be covered for lots of different things. Offering a wide range of landlord insurance policies, we can offer services similar to those of normal home insurance, including buildings insurance and contents insurance. We understand that renting out a property can be a risky process and can be a big financial investment for you, which is why our advisers are here to guide you through the whole property investment process. As you have likely invested a lot of money in the property you are renting out, it is important to protect your investment in case something unpredictable happens, so we provide many cover options including for damages to the property. Our wide selection of landlord’s insurance includes options where you can get cover for accidental damage, lost rent and loss of income, so each policy can be personalised to your particular requirements. In addition to providing all the usual cover you would receive from home insurance, you receive extra protection surrounding rent and loss of earnings. You can also receive cover for accidents that may occur in your property, so if an injury occurs you will not have to pay the compensation as this would be covered. Thinking about renting out your property to potential tenants? Get in touch with us today for flexible landlord insurance on 01253 294480. 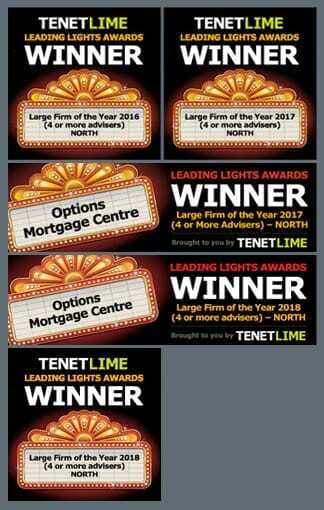 Options Mortgage Centre is an appointed representative of TenetLime Limited which is Authorised and Regulated by the Financial Conduct Authority. TenetLime Limited is entered on the Financial Services Register under reference 311266. CLICKING THE ABOVE LINK MEANS YOU ARE DEPARTING FROM THE REGULATED SITE OF OPTIONS MORTGAGE CENTRE. NEITHER OPTIONS MORTGAGE CENTRE NOR TENETLIME LTD NETWORK CAN BE RESPONSIBLE FOR ANY CONTENT CREATED AND PUBLISHED SOLELY BY A THIRD PARTY OUTSIDE OUR REGULATED SITE.